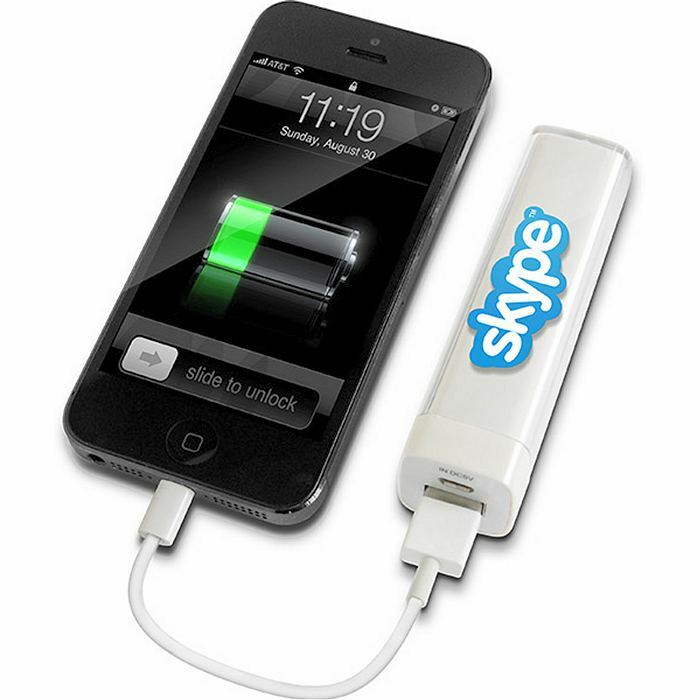 With the optional 4 in 1 charger cable. 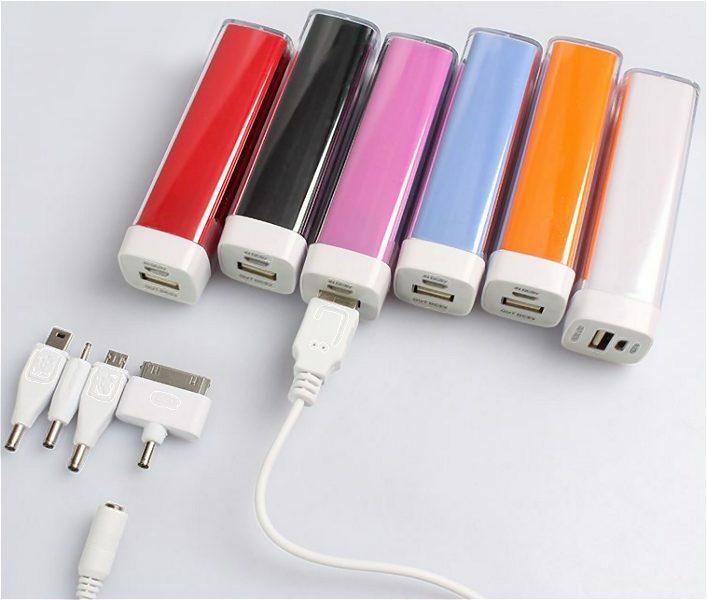 Guide: bulk buy power banks at these prices. 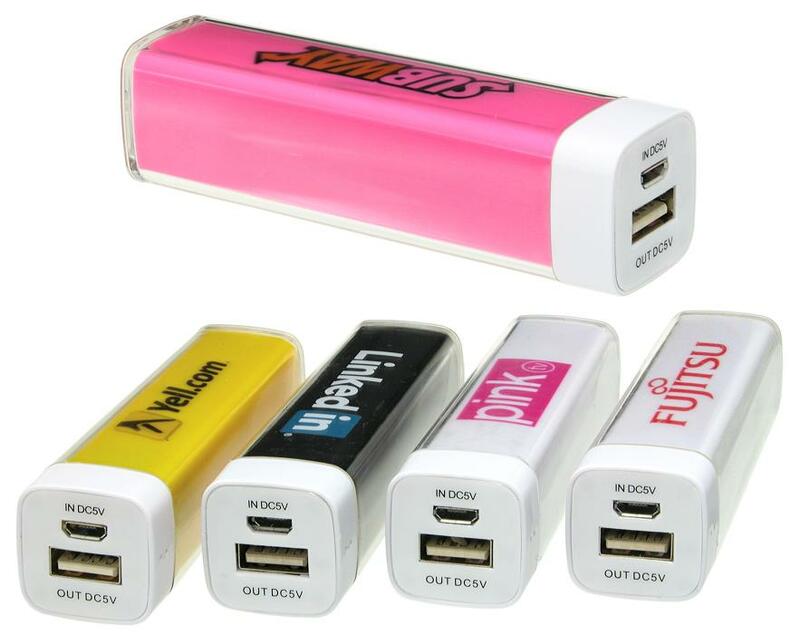 Price includes 2 spot colours, add 50p for full colour per side, retail box, USB charging cable. Delivery and VAT extra. Stylish, compact, portable & fashionable design. Intelligent MCU controller, during charging status, red light will be on and during discharging status, blue light will be on. Intelligent multi-protection circuits to protect against over-charge, over-discharge, over-load and shortage. Option: For Qty of 1000 or more the carboard box can be logo printed. £4.10 each for a quantity of 250, excluding VAT. 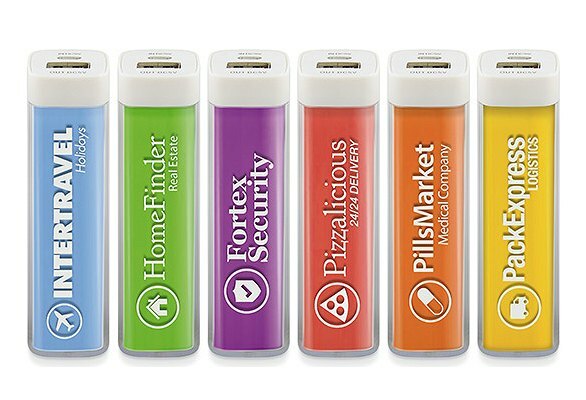 This includes 2 colour print of your company logo, UK mainland delivery, a power bank presentation box. That's a guide price which we will honour but please ask for a quote to see if we can improve on that. We have price points for quantities of 50, 100, 250, 500, 1000. Prices change very often so please tell Crazy Dave your quantity and he'll get back to you.